Brain tumor/cancer risk was 3X greater than the general population in children who received two to three CT scans of the head. And the chance of developing leukemia was three times as great for children who received five to 10 CT scans of the head. In the study published in Lancet, the researchers examined 176,587 children who had received a CT scan before age 22 and looked at their medical history for an average of 10 years afterward. Though the risk sounds "high," the overall risk is still relatively small and CT scans should still be performed if medically warranted. Phrased another way, the risk corresponds to one additional case of leukemia in the 10 years after the first scan for every 10,000 patients younger than 10 who were scanned or an extra case of brain cancer for every 30,000 children scanned. Even so, the study does illustrate that CT scans should not be ordered unless there's a very good reason to do so, especially in children given they are more radiosensitive compared to adults. In the ENT world, the most common reason to order a CT scan is to evaluate for sinusitis. My own personal preference is to obtain one in children if and only if all other sinusitis interventions have already been performed. 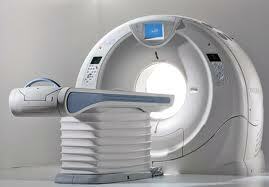 If above interventions have been performed, only than would I consider a CT scan of the sinuses. Some (other ENTs) may argue that CT scan of the sinuses should be performed early as a more directed intervention can than be performed. My argument against that is, EVEN if the CT sinus comes back abnormal, I STILL would perform the above interventions first because often the above interventions will clear up and sinus abnormality seen on a CT scan. Only when everything else has been tried would I consider sinus surgery in a child and only than would a CT sinus be justified in my mind.